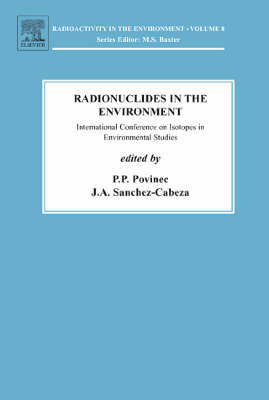 The purpose of this book is to present a state of art summary of current knowledge of methods of assessment of radionuclides in the terrestrial and marine environments. It cover the traditional methods of radioactivity measurements such as radiometrics techniques, but also recent developments in the mass spectrometry sector. The book starts with a short preface introducing the subject of the book, summarising content and philosophy of the book, as well as the most important historical achievements. The scientific topics are introduced by description of sampling methods, optimisation of sampling sites and sampling frequency. The recent developments in radiochemical separation methods using chromatography resins for the treatment of actinides, transuranics and other groups of radioelements are also described. No other book is available covering all aspects of environmental radioactivity measurements, although remarkable progress has been made in detection techniques over the last ten years. At present the new methods enable to carry out investigations which were not possible before, either because of lack of sensitivity or because of the fact that they required too large samples. Buy Analysis of Environmental Radionuclides by Pavel P. Povinec from Australia's Online Independent Bookstore, Boomerang Books. Prof. Dr. Pavel P. Povinec is professor at the Comenius University in Bratislava (Slovakia) where he spent most of his carrier, also as a vice-dean of the Faculty of Mathematics and Physics, as well as Head of the Department of Nuclear Physics. From 1993 to 2005 he led Radiometrics Laboratory of the International Atomic Energy Agency's Marine Environment Laboratories in Monaco. He has been engaged in low radioactivity studies and development of low-level counting methods. The main topics included environmental radioactivity and radioecology, isotope hydrology and oceanography, but also investigations of rare nuclear processes and decays. He contributed to better understanding of radiocarbon variations in the atmosphere and biosphere. In high sensitivity radioactivity measurements his main contribution was in the development of underground facilities and in situ underwater gamma-spectrometry of radionuclides in the aquatic environment. He published over 250 papers in recognized scientific journals, having over 2500 citations. Recently he published 11 papers on the Fukushima radioactivity assessment, and edited a special issue of the Journal of Environmental Radioactivity on this topic. He has been often invited to give talks at international conferences on radionuclides as tracers of environmental processes, and acting as a member of international advisory scientific committees. He also spent several months as a visiting professor at foreign universities. He led several international projects on marine radioactivity. He also led the Bratislava group in many international projects in physics. He organized six international conferences, several seminars, workshops and training courses. He published four books and 12 monographs. He edited 12 conference proceedings, 11 special issues of scientific journals. He is editor, co-editor and board member of six scientific journals. His professional activities included international and national societies (Board of the European Physical Society, IUPAP and IUPAC committees, etc.). He received several foreign and national awards. He was a member of the IAEA team which won the 2005 Nobel Peace Prize.